"Bring me my food. It hurts when I get up to walk." Watching your best friend struggle in her senior years surely breaks your heart. The arthritis in her paws is making it difficult to get around. With a little work and a few adjustments, you can make her daily routine less complicated and not as painful for her. 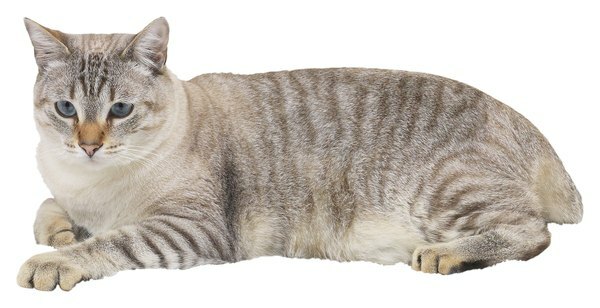 Arthritis in felines usually happens as a natural part of aging, although younger kitties can also have arthritis if they are overweight or go through some kind of trauma, like a car accident. The same thing that happens in humans happens in your fuzzy chum. The cartilage between joints breaks down, sometimes completely, causing bones to rub together. With all of those joints in Sofia’s paw -- toes, wrist, elbow, shoulder and hip joints -- she can quickly start to show signs of discomfort. Usually in the beginning you’ll notice that Sofia isn’t moving around as quickly. Rather than bouncing right up from her nap, she’ll sit up for a moment, stretch and then slowly make her way off the bed. She may stop going up the stairs to catch the afternoon sun in the den, since climbing stairs is painful for her tender paws and legs. As arthritis continues to progress, she’ll struggle to make it in and out of the litter box, causing her to have accidents near the box, rather than in it. She may also moan or whine during everyday activities, like bathing, leaning forward to eat or just walking around the room. Arthritis develops differently in each paw. If one paw is worse than another, you’ll see her limping to avoid putting pressure on the most painful leg. When you take your purring pal to the vet for a checkup, he’ll run a series of blood panels and will probably want an X-ray of her entire skeleton. If one paw in particular seems to be bothering her, let your vet know. He may want to take a separate picture of that paw to get a good look at it. Once you have a positive arthritis diagnosis, your veterinarian might send you home with medications to help control her pain. He could also suggest giving her supplements. Glucosamine and chondroitin supplements rebuild cartilage between her joints, while omega-3 fatty acids can lubricate her joints and reduce some of the inflammation. If your veterinarian suggests giving Sofia supplements, remember that they won’t work overnight. It may take weeks or months for her to show signs of improvement. Because arthritis is a natural part of aging and it’ll take some time for supplements to kick in, you’ll have to make adjustments in her environment to ease her pain. If your home has multiple levels, put out several litter boxes for her. You don’t want her to have to walk too far just to go potty when she’s in pain. Her litter pans should have low walls or at least an inlet in the front side that is easy to get in and out of. If she has a favorite sleeping spot, put a heating pad underneath a blanket to alleviate some of the pain in her achy paws. Lastly, give her a good rubdown a couple times a day. Massaging her paws -- as long as she allows it -- gets blood flowing, reducing some of the pain she experiences. 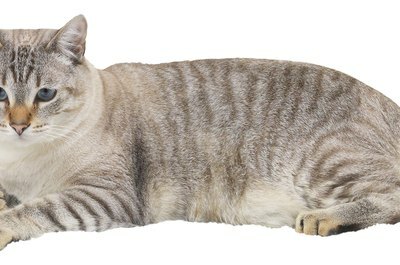 If she’s overweight, you’ll need to work with your veterinarian to find her a lower calorie food that meets her needs. Too much exercise can be increasingly painful for her joints, although a little low-intensity exercise prevents stiffening in her joints and helps her lose weight. Encourage her to bat at a wand toy, even if she’s lying down. Make her walk as much as possible by strategically placing treats or pieces of kibble across the floor or getting her to chase a piece of string. Losing just a few ounces of weight can get some of the added stress off of her paws. Why Do Cats Knead Their Front Paws? How Safe Is Acupuncture for Cats With Leg Problems? What Is the Fastest & Easiest Way to Clean Dogs Paws? Do Double Paws on a Cat Mean That They Are Inbred? Do Cats Have Toes or Paws? Do Cat Paws Have Bones?